Remember how we did that amazing (if we do say so ourselves) guide to protein bars? 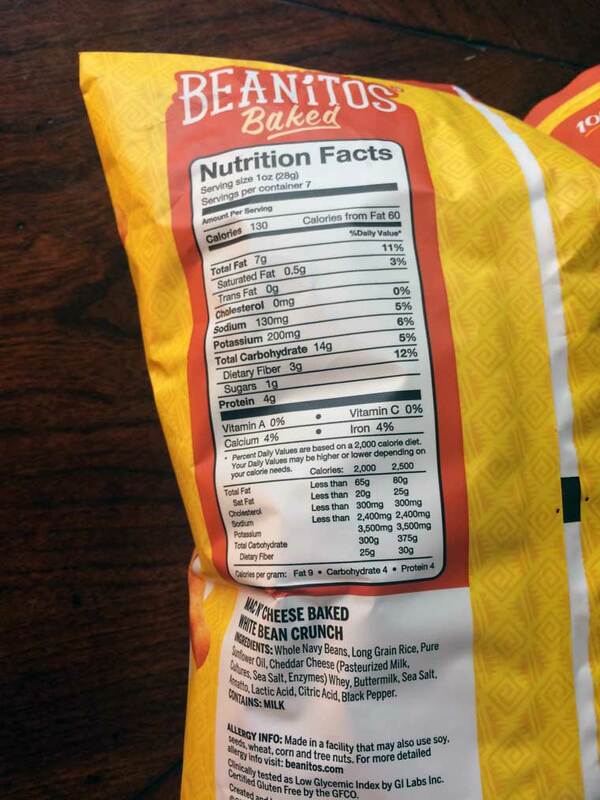 Well, hold on to your bars … or your butts … or your tastebuds, because we’re doing it again — this time with CHIPS. Gone are the days of boring chips. Or even chips being made out of only potatoes or corn. 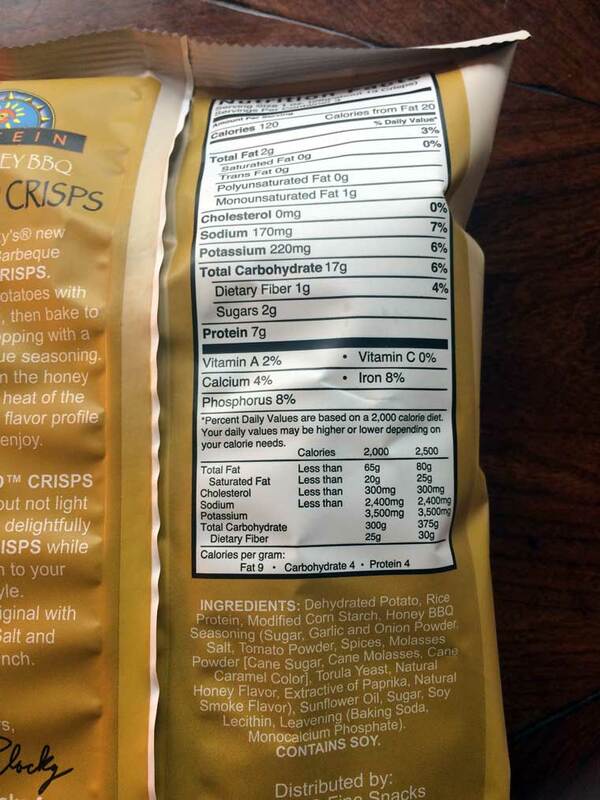 These days, chips are made from EVERYTHING it seems (even onions and peas!) and whether you’re g-free, Paleo or simply looking for a healthy flavor explosion to crunch into, we have something if not everything for you. 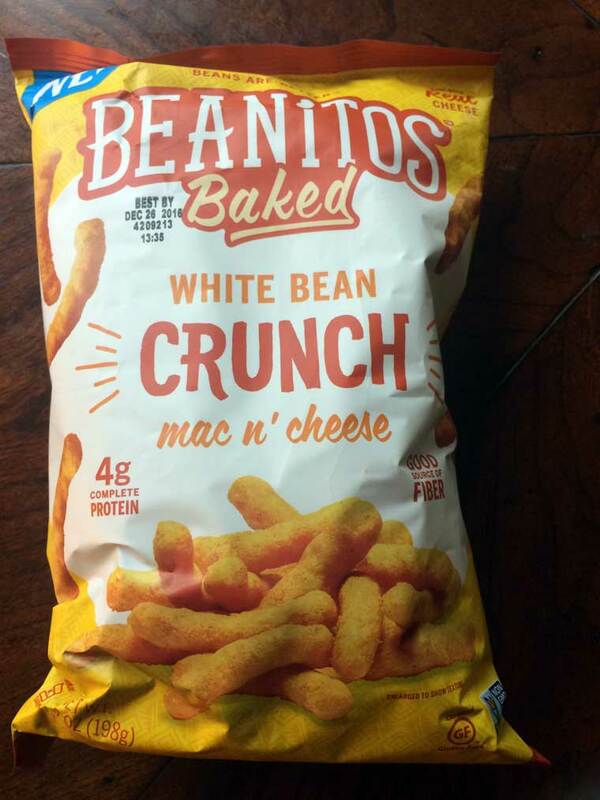 If you and Cheetos go together like burpees and a love/hate relationship, then Beanitos Baked White Bean Crunch Mac n’ Cheese will be your jam, baby. They’re fluffy, crunchy, full of cheesy taste and super filling for a chip-like product. 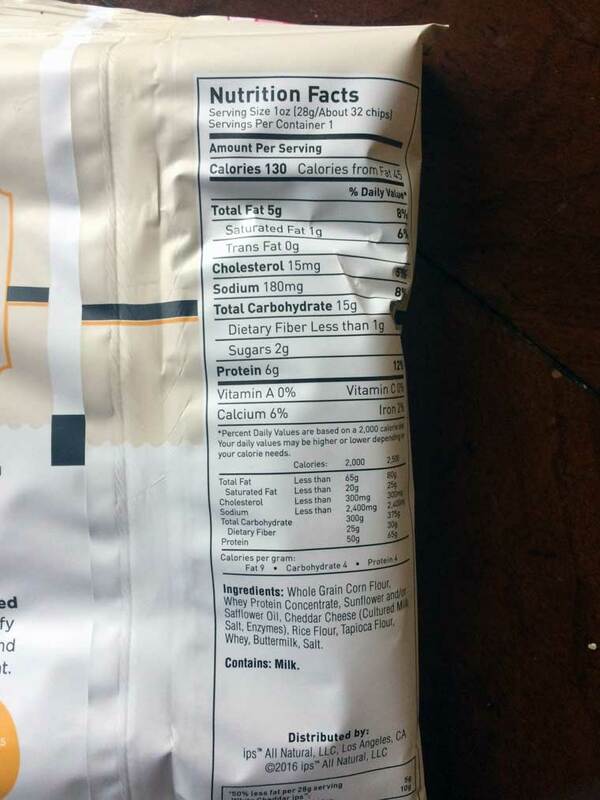 Each serving boasts 4 grams of protein, 3 grams of sugar and an ingredient list you can feel really great about. These are basically onion rings in a bag. But they’re not breaded. Or fried. And they will have you saying “Dang, that’s good.” (See where its name comes from?) Offered in yummy flavors like Sea Salt, Chipotle Garlic and Applewood BBQ, these are crunchy, airy and full of yummy somewhat sweet onion flavor. 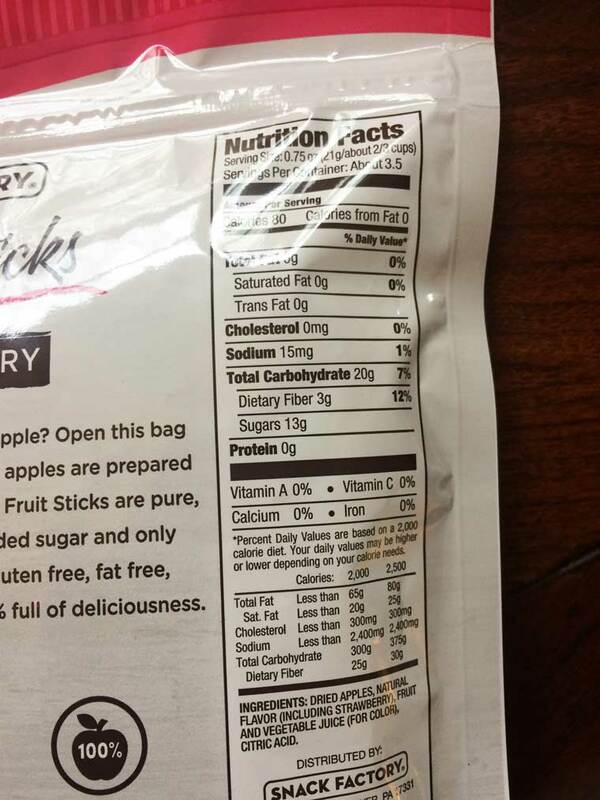 They also come in a resealable bag, which is a nice touch. 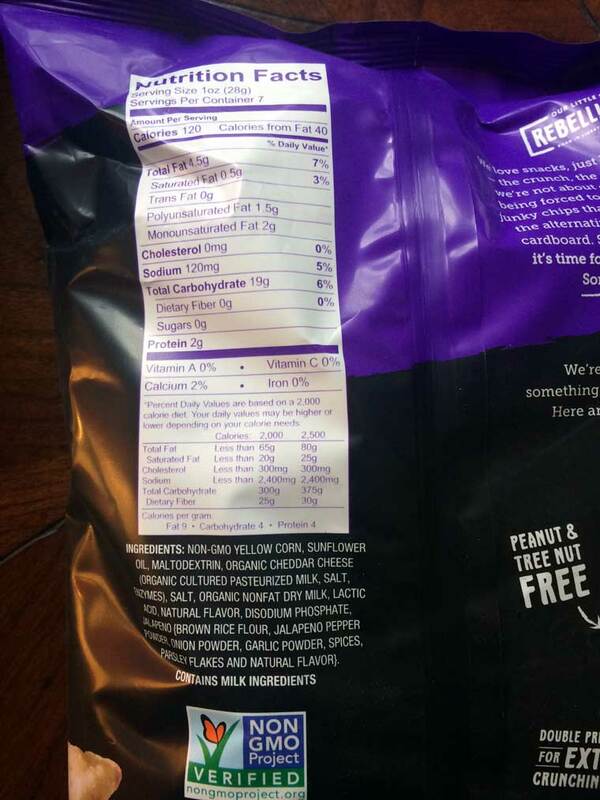 It encourages you to not eat a whole bag in one sitting (not that we’d ever do that … ). Aren’t a fan of onions? 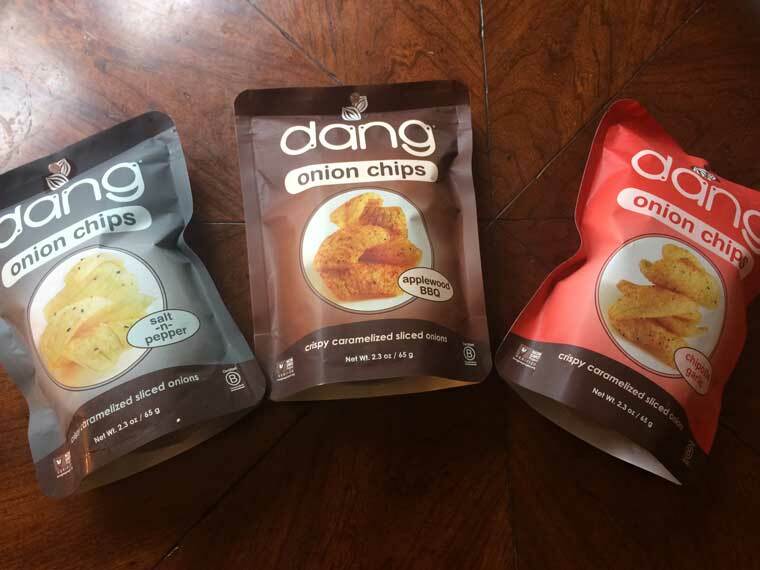 Dang also offers coconut chips in a whole bunch of fun flavors, all of which basically melt in your mouth with coconutty goodness, and Sticky Rice Chips, which we haven’t tried yet but look way interesting. 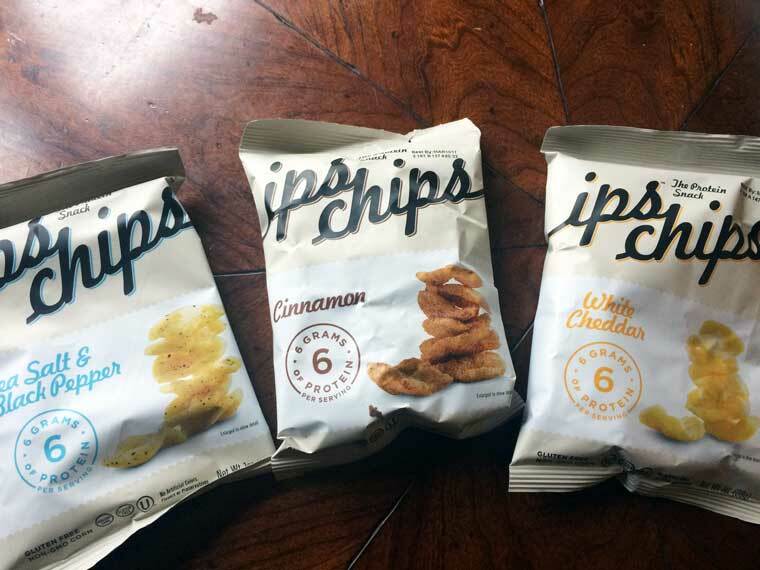 ips Chips, you simply know the way to our fit foodie hearts. 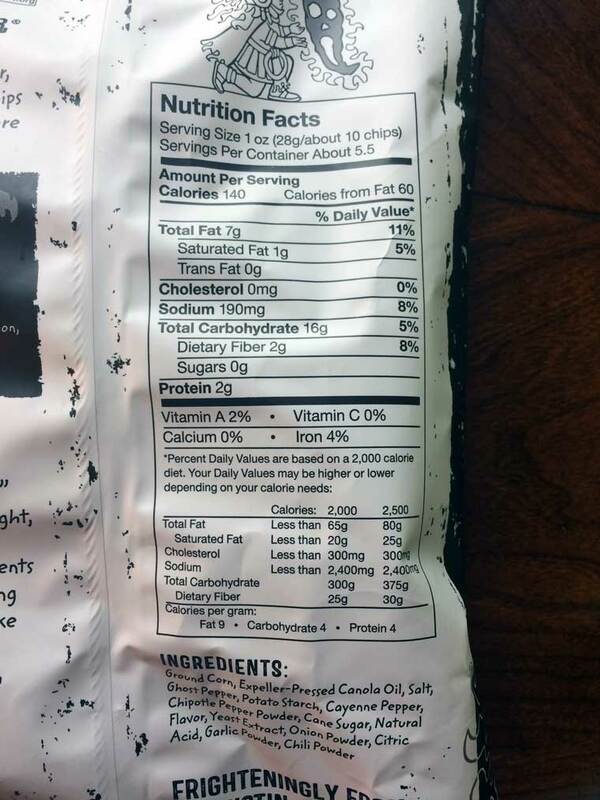 Not only do you have light and airy chips in tons of flavors (the Cinnamon is kind of a revelation, guys), but each serving has one gram of fiber and 6 grams of protein from whey. Six! Seriously, try the Cinnamon. It’s perfection. What’s up? 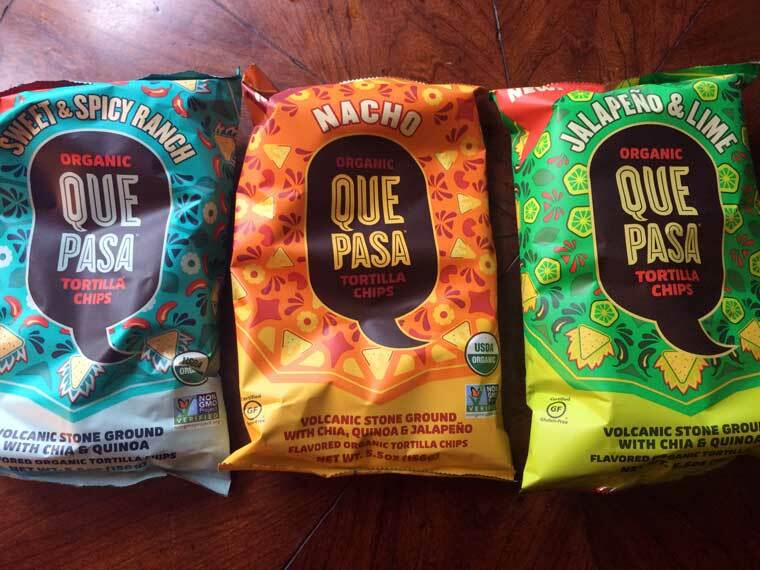 Oh, just these AMAZING Que Pasa Tortilla Chips in flavors like Jalapeno & Lime, Nacho and Sweet & Spicy Ranch. 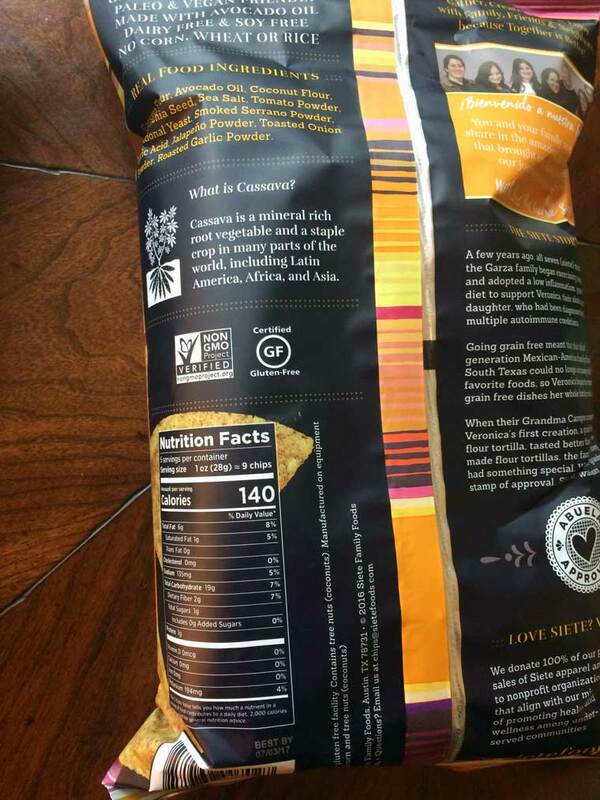 Made from corn, chia and quinoa, these are like superfood chips. And they pack TONS of flavor into a nice and thick and crunchy chip. Love taco salads? This is the chip you want in there. Trust. These are light and a little flaky — so kind of a mix between a tortilla chip and a potato chip, but very, very good. 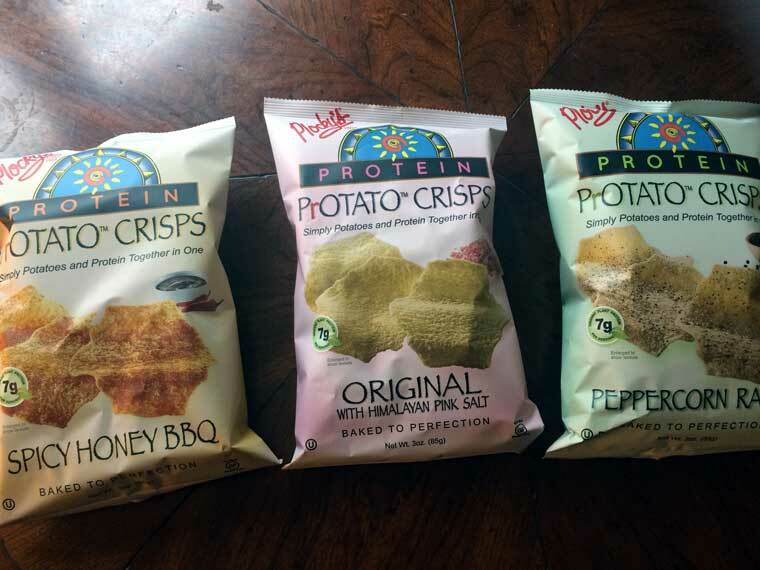 You say “potato,” they say “ProTATO,” and we say “delicious” and “innovative!” In flavors like Himalyan Pink Salt, Spicy Honey BBQ and Peppercorn Ranch, these are definitely a light and thin baked chip, but they taste great and boast 7 grams of plant-based protein (from rice protein) per serving. We gotta say: ProTATO is right! We LOVE us some popcorn, so chips made out of popcorn seems so fun. And it is! These chips are light, airy, a little spongey and taste like popcorn — so you can imagine all of the flavors that taste awesome. 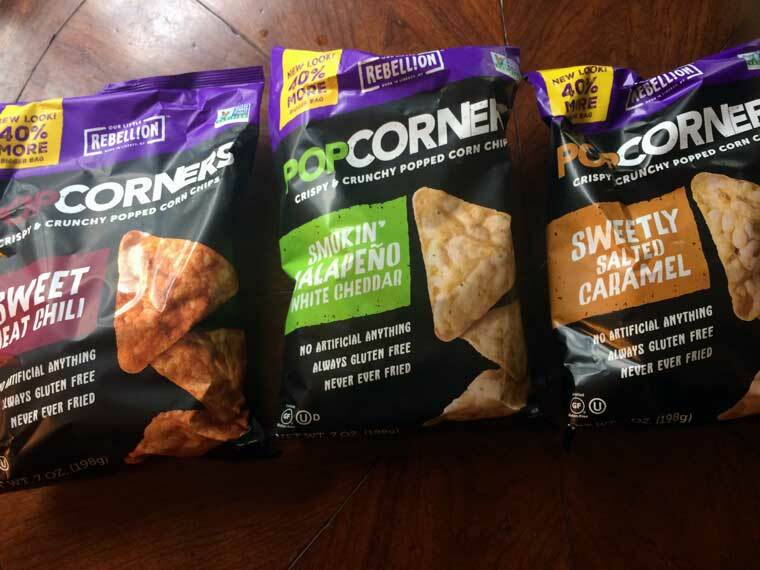 No matter if you’re a butter person, sweet person, savory person, or sweet and salty person, Popcorners has a flavor (or five) for you. Some flavors (but not all) are even dairy free and vegan, which is pretty rad. If you’re into that sort of thing and like kettlecorn, definitely try Carnival Kettle. It was our fave! We’ve tried Siete tortillas before and were obsessed. 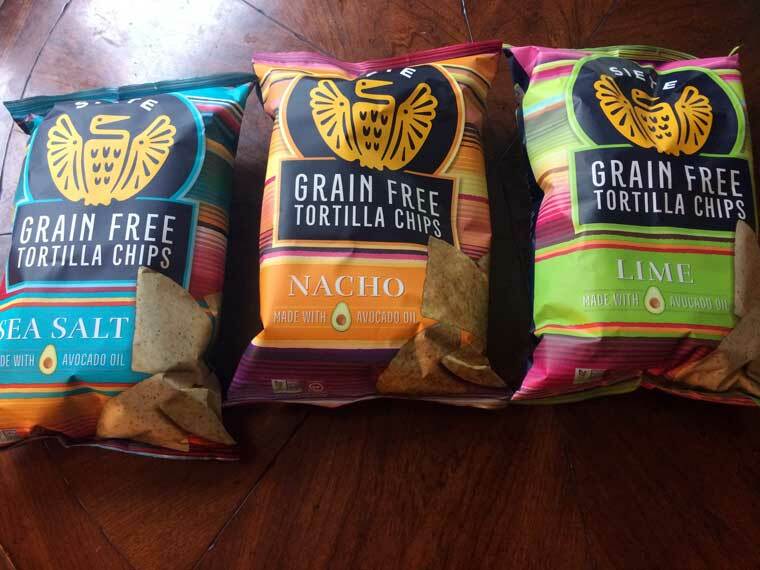 And its paleo- and vegan-friendly line of grain-free tortilla chips are no different. They’re AMAZING. 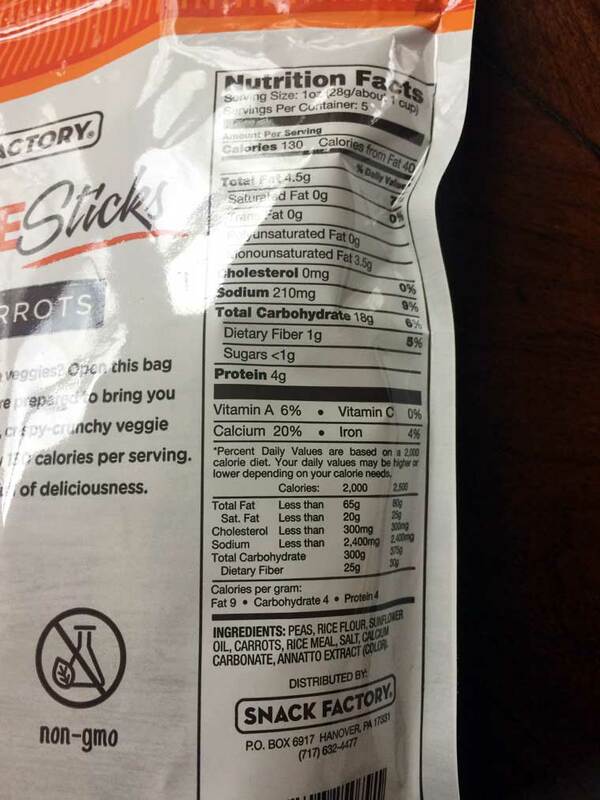 Like, crazy amazing that there are no grains, dairy or soy in there! 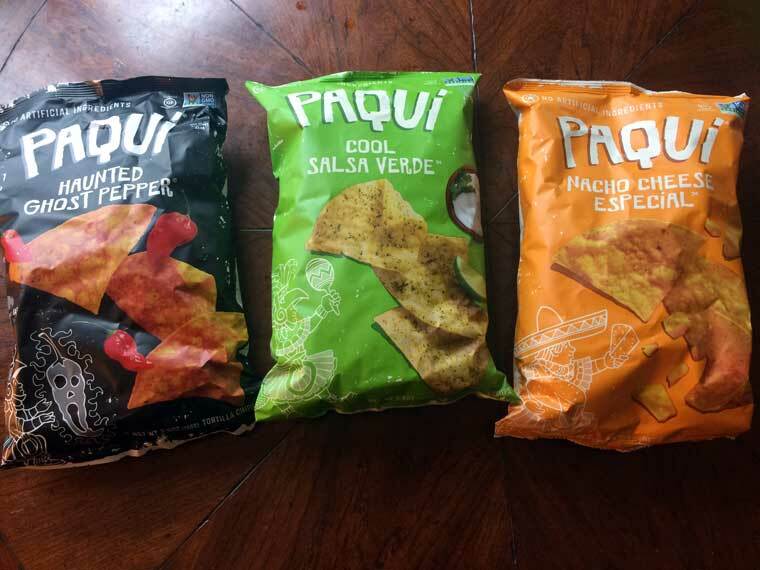 In flavors like Sea Salt, Lime and Nacho, these chips taste a bit like a baked chip (so, a little thinner and lighter), but we just can’t get over how delicious they are for not having any corn or potato in there. Cassava is now pretty much our favorite ingredient. 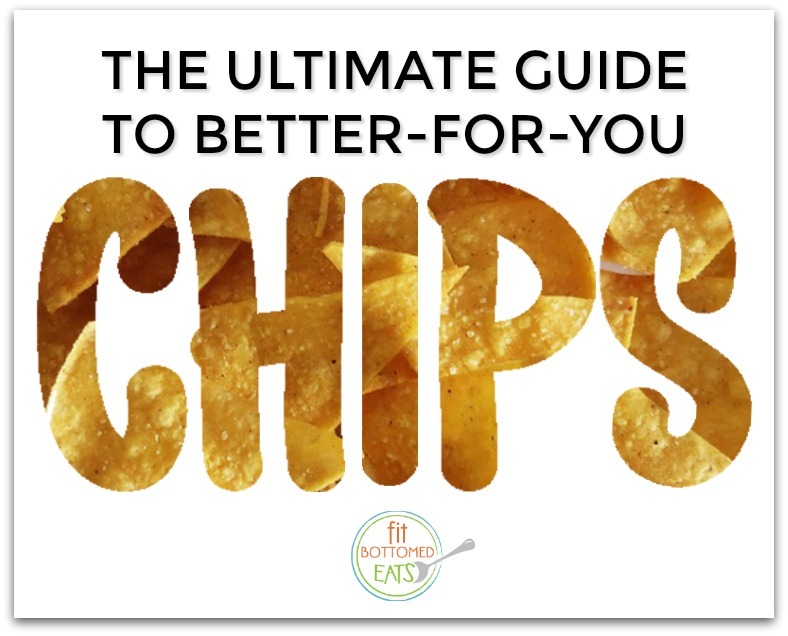 Want to rethink the word “chip” altogether? 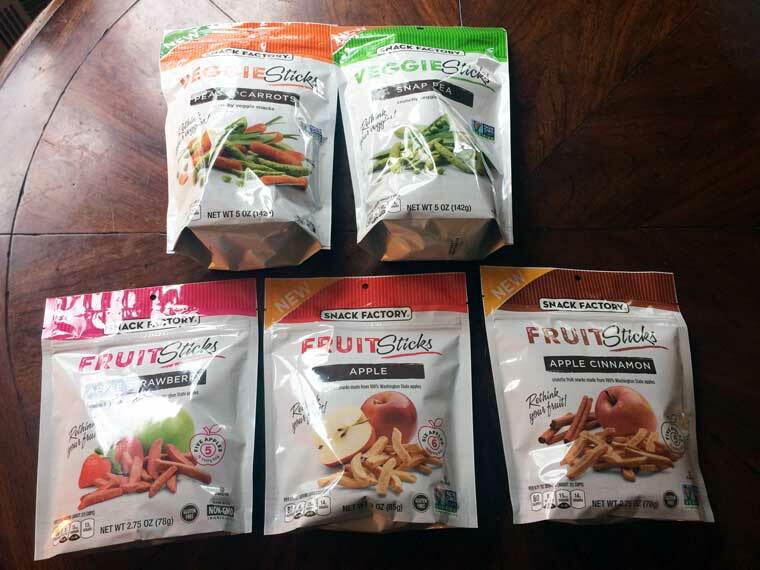 Move over roots and tubers: Snack Factory is making fruit and veggies as nom-nomable and crunchy as your average chip. And it’s kind of incredible. The veggies are (as you’d expect) more savory and salty, while the fruits are pleasantly sweet. They all taste good, have clean ingredient lists and are airy and crunchy and just darn pleasant. 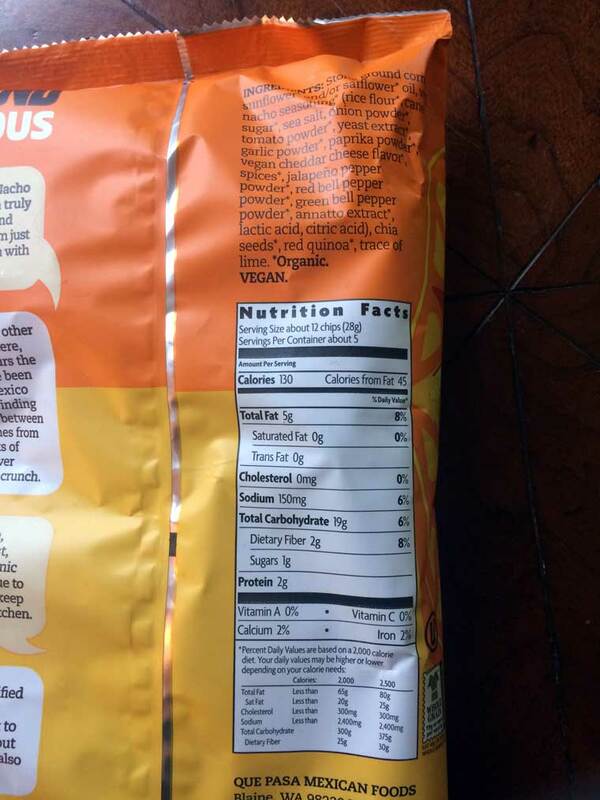 Of all the “chips” on the list, this is the one my daughter goes nuts over — especially the Cinnamon Apples! I LOVE the Benito’s Puffs! 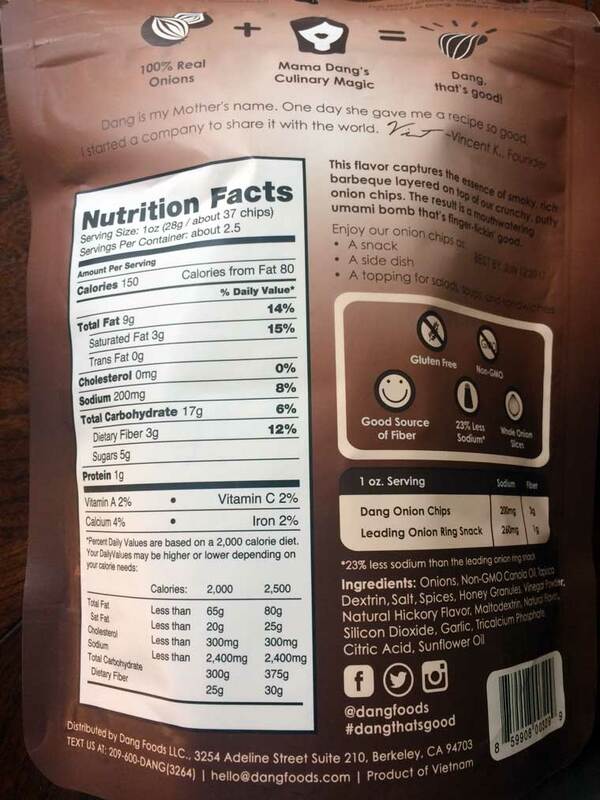 I JUST tried the DANG coconut chips yesterday!!! OMG…They are AMAZING! Thanks for this list!